Challenge closed. Please provide your feedback here. 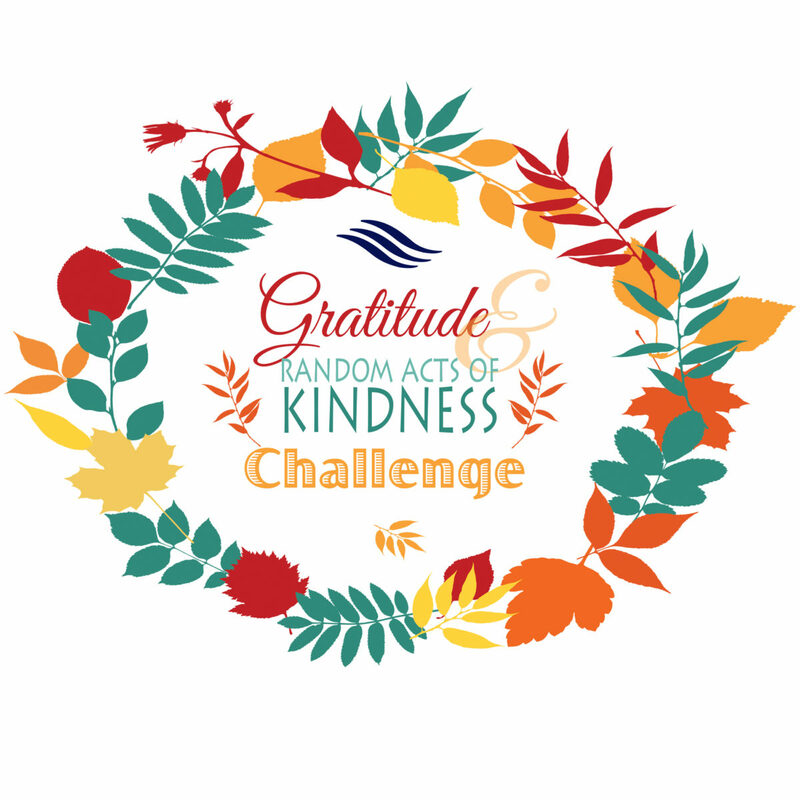 In this season of Thanksgiving, Employee Wellness is encouraging random of kindness with our Gratitude Wellness Challenge. Together, through the month of November, we will cultivate our gratitude by encouraging daily reflection and our Random Acts of Kindness BINGO. Complete this challenge to tap into your thankfulness, spread some cheer, and earn some Love Your Life points at the Action plan (HALF your goal points this quarter). Cultivate kindness and gratitude through daily reflection and spreading random acts of kindness. In this Wellness Challenge, you’ll participate in two ways: One, with our Random Acts of Kindness BINGO and also by daily reflection of all you are grateful for. You’ll send your completed BINGO cards to Employee Wellness (up to 5 per week). For each card sent per week (up to 5), you’ll be entered into our $25 Gift Card giveaway. And because this Challenge is all about gratitude and kindness, Employee Wellness will provide a $25 weekly donation to the Gift Card winner’s non-profit of choice. In addition, we’ll be encouraging daily reflection of gratitude and keeping in touch with our weekly email updates. Each BINGO card is an entry into our weekly Gift Card drawing – $25 to winner and $25 to the non-profit of his/her choice. Earn 50 LYL points for sending at least 1 BINGO card per week for 3 weeks*.